Why Do Redwoods Release Seeds Only After a Fire? Where Do Giant Redwoods Live? 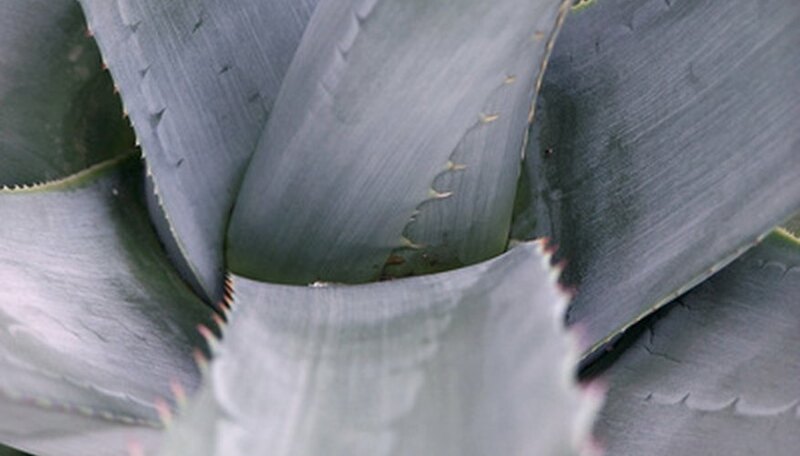 Can You Grow Blue Agave Plants in California? By far, Bermuda grass is the grass of choice for seeding in southern California. It is well-suited to the hot environment. Buffalo grass and Zoysia can also be grown. For coastal areas, salt tolerant seashore paspalum is also a good choice. Redwood trees produce 2- to 3-inch long cones that remain on the tree for 20 or more years. Green scales that contain seeds cover the cones, which are located mostly near the upper branches. Heat from the fire rises, drying the cones high in the tree canopy and causing the scales to shrink and release their seeds. Fire burns leaf litter from the soil, creating a rich, well-drained growing medium.The wind disperses the seeds to this easily penetrated soil. 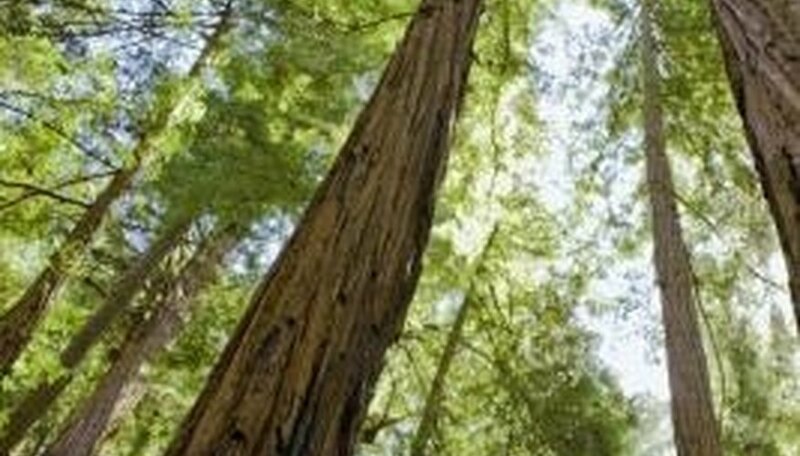 A mature redwood produces about 1,500 cones each year, according to the U.S. Department of Agriculture Forest Service. Redwoods begin to produce seeds after 10 years, with the greatest productivity occurring after 150 years. Beneficial fires and seed-dispersing winds occur during late-summer lightning storms. For the warmer climates of central California, Bermuda grass seed is often sown. Native Buffalo grass can also be grown in that area. In higher altitudes, where freezing temperatures are common, fine fescues can be grown. California's Central Valley consists of the San Joaquin Valley, Fresno and Kern County regions. Beginning in early spring, farmers and home gardeners will begin by planting tomatoes, zucchini and many pepper varieties for a summer harvest. These crops thrive in the 100-degree days common in the valley. The summer season is the best time to plant for a late fall harvest. 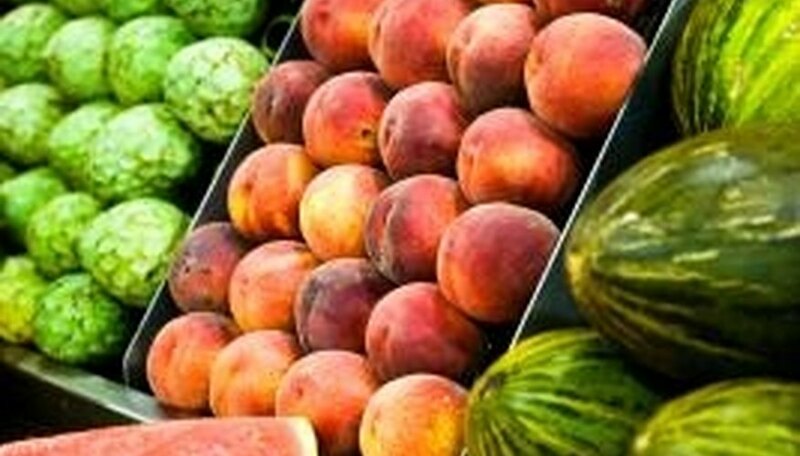 Varieties of squash such as pumpkin, acorn and butternut squash grow well in late summer and early fall. The summer planting season also includes leafy greens for fall harvest such as kale, kohlrabi and Swiss chard. The late spring and early summer are the best times to plant root vegetables such as parsnips and rutabaga. Many varieties of vegetables thrive in the cold temperatures of winter in the Central Valley of California. Cruciferous vegetables, such as broccoli, are planted from December through February, as are rhubarb and leeks; endive and asparagus can be planted in January. The California Poppy's name might be a little misleading, because this plant variety can be found as far north as Washington State all the way down to Baja, California. They tend to grow best on heavily grazed lands. For picture-perfect poppy sightings check out the "Grapevine" along California's Interstate 5 at the northern part of Los Angeles County. The California Poppy plant grows anywhere from 12 to 18 inches tall and are characterized by light blue-green leaves with small, tapered buds that burst open into a vivid orange bloom. The flowers generally close during the night or in cold weather. These perennial plants require a dose of full sunlight in addition to well-drained soil. The poppies should be seeded directly into the garden bed, as they do not transplant easily. Rake and moisten the soil and plant them about 12 inches apart. You may decrease watering after the plants show signs of flowering. Poppies are extremely drought tolerant and do well in arid climates. They can be planted as border flowers for beds, in rock gardens to add a dash of color and along with other plants to provide variation. While scientific research has not been conclusive on the California Poppy, Native Americans often used the plant to treat toothaches and insomnia. Giant redwood trees live in three areas worldwide that includes a coastal region in northern California, a section of the Sierra Nevada Mountains and in an isolated valley region in China. Plum and other fruit trees are often attractive to butterflies. The only variety of plum tree native to California is the Pacific Coast plum, also called the Sisson plum or Prunus subcordata. The chokecherry tree is closely related to the plum and also will attract butterflies. There are several varieties of chokecherry present in California; those that are native are the California, black and western chokecherries. The holly leaf cherry, the currant or gooseberry, the coffeeberry and the cassia all are also butterfly attractant trees. Oak, willow and sycamore round out this group. Among shrubs that are native to California, butterflies are attracted to the nectars of California lilac, bladderpod and coyote bush. Other shrubs that host butterflies include the false indigo bush and tree mallow. The major annual plant that attracts butterflies is the lupine, native in many parts of California. This class of flowering plants includes Alpine lupine, silver bush and yellow bush lupines, and arroyo and chick lupines, in varying parts of the state. “Chinese Houses” is another annual butterfly host plant, often found growing wild in California. There are many perennial flowers, grasses and plants that will attract butterflies and are native to California. Butterflies feed on nectar from yarrow, milkweed, buckwheat, golden yarrow, coast goldenbush, deerweed, coyote mint, sage, goldenrod, lilac verbena and San Diego sunflower. Monkeyflower also is a popular California butterfly host plant. Blue agave plants can be grown in California. This succulent of the lily family grows well in hot, sunny regions. Blue agave requires a minimum average temperature of 50°F, and it tolerates frost temperatures as low as 25 degrees Fahrenheit. This makes California an ideal place to grow blue agave. 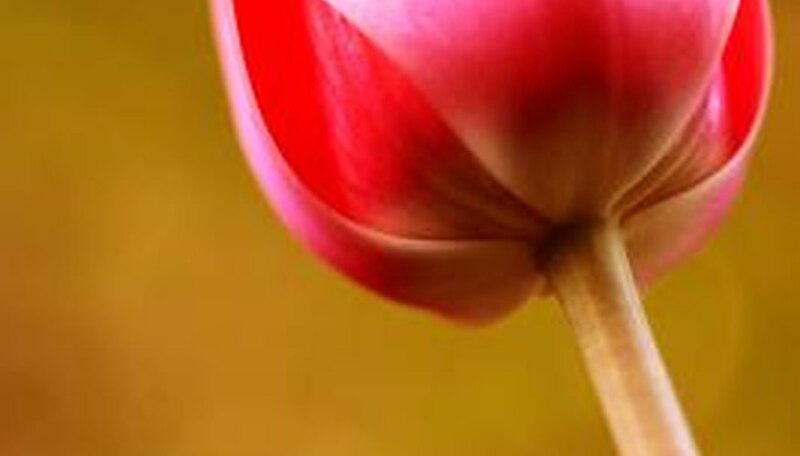 Plant bulbs during the spring to yield mid to late summer flowers. Spring planting is also an ideal time to plant vegetables in California, as the temperatures are moderate and the soil is still moist. The best time for spring planting is after the last frost, but especially between March and May. Early winter planting is ideal for Central California to Southern California. Due to the climate, the soil does not fully freeze during the early winter, which will allow bulbs to establish in the soil. If you want to grow snowdrops, tulips or crocus for a spring blossom, then planting the bulbs in the early winter is essential. If you live in Central California, consider planting in early winter or December. If you live further south, you can plant winter bulbs all the way through February. Due to the cooler climate, if you live in Northern California, consider planting these bulbs in mid to late November, or before the first freeze. When choosing the bulbs that you want to plant in either the spring or winter, make sure that you check the U.S. Department of Agriculture Plant Hardiness Zone Map for your exact location in California. If you know your USDA zone, you can choose plants that will thrive in your area and discover the best planting time for that particular plant’s bulbs. California is in USDA plant hardiness zones 5b through 10b.